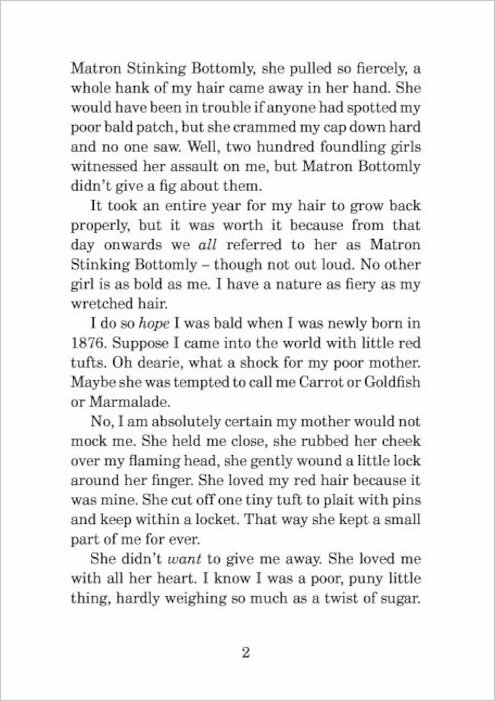 Jacky’s feisty Victorian heroine takes you back in time, from a foundling hospital to the circus ring. Be inspired. Love Tracy Beaker? Meet Hetty Feather – also stuck in a grotty children’s home. 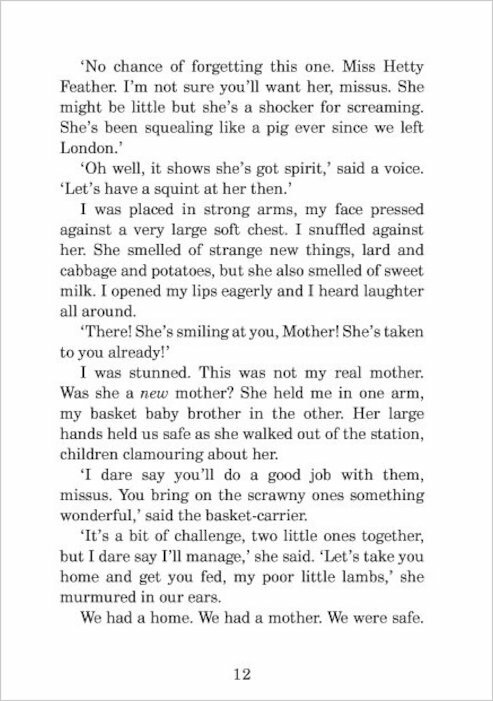 Abandoned as a tiny baby in 1876, Hetty has only ever known the foundling home’s tough rules and horrible food. When she’s sent to live in the country, things improve. She loves playing in the fields, and – best of all – the travelling circus. But just like Tracy Beaker, Hetty dreams of finding her real mum… Frilly but totally feisty: girls don’t come sassier than this plucky urchin of historical times. So, I have not actually read this book, but I am a big fan of the TV show on CBBC and I also saw the stage production. So yes, I would recommend this book to any 9 – 12 year old girl! I LOVED it. It was really cool the way that when she was left in the foundling hospital that she was able to get into the boys part! This is a meaningful, Amazing, Brilliant and So interesting! I have got this book at home, and I’m starting to read it. I love watching Hetty Feather, and that there are going to be loads of new epesodes of it coming out in the 10th of May 2016. Will she be able to escape the nasty foundling hospital??? apsaloutley amazing!! SPOILER ALEART!!! its so sweet that she finds her mother is Ida! SPOILER HAS FINISHED!! if you have not yet read this book I reccomend it too you if you are not squeemish and if you can take a bit of a sad story! thanks for reading this and please check out my page if u wanna! this book is brilliant i love it so much, i love the bit at the start where hetty is just enjoyed her life as a small child then she grew up and went.at the end hetty finds her mum and it is a HAPPY ENDING LIKE ALWAYS!!!!!!!!!!!!!! I watched this at the theatre at Trafaligus Square! BRILLIANT!!!!!!!! I loved this book. It was a gripping read and I was really glued to it. I didn’t really like Hetty’s personality though, because she loses A LOT because of her temper. 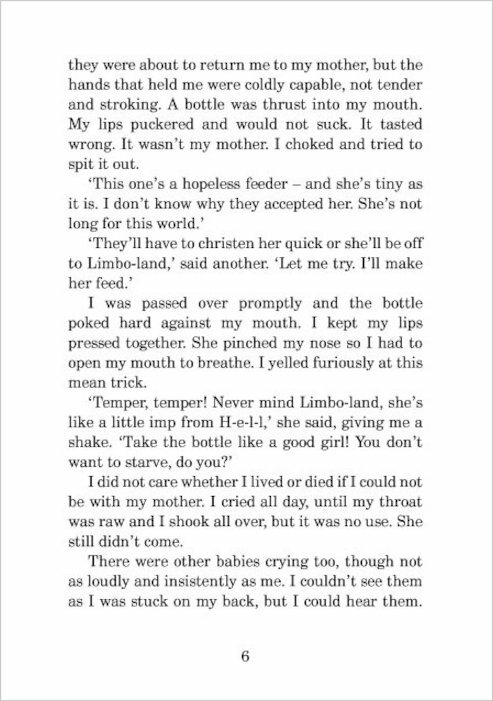 She lost a position, she lost a a friend – because she doesn’t have a lid for her temper (find out more on second and third book!). The worst character that appeared in this book I think is Sheila. She is such a big bully and does something horrendous at the beginning of ‘Sapphire Battersea’ (I personally think that she did it on purpose). Anyway, it is a highly-recommended book and a great read. You will learn something after reading it – promise. I, personally, didn’t enjoy Hetty Feather nor did the rest of my family. I had tried to read it twice but I just found a bit too boring for my liking. It is so sad how Hetty is unfairly treated because she is a foundling. 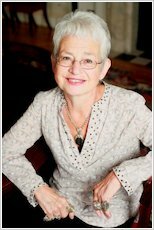 Jacqueline Wilson is my 2nd favourite author. 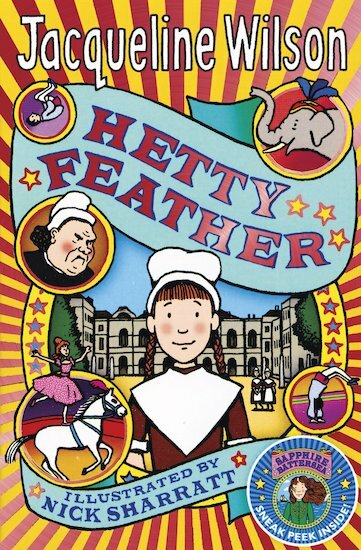 I lovvvvvvvveeeeeeee her Hetty Feather boooooooooookkkkkkkkkk!!!!!!!!!!!!!! This book is gripping as you start to read the first page. 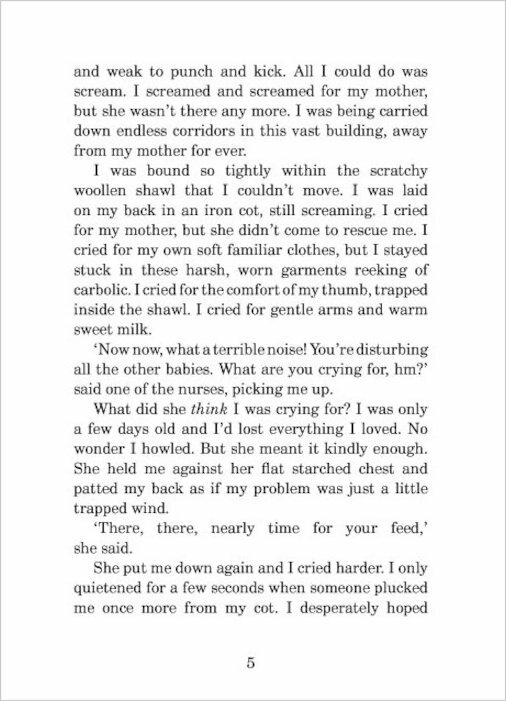 I would definatly recommend this book as it even made me shed a tear. A must read. This book is about a girl called jetty feather who lives in a foundling hospital. 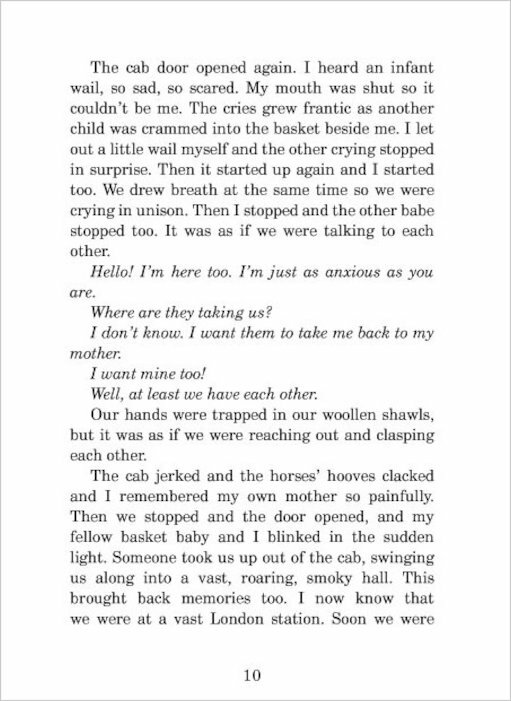 This book is a page turner and must be my fav book ever!!!!!!!! this book just wouldnt stop looking at me i kept reading it and reading it till the end it was funny a bit good and really sad but i loved it a lot because i am a Jacqueline Wilson fan!!!!! It is absolutely AMAZING!!! Great book to read and suitable for all ages above 8 years. It was fantastic! 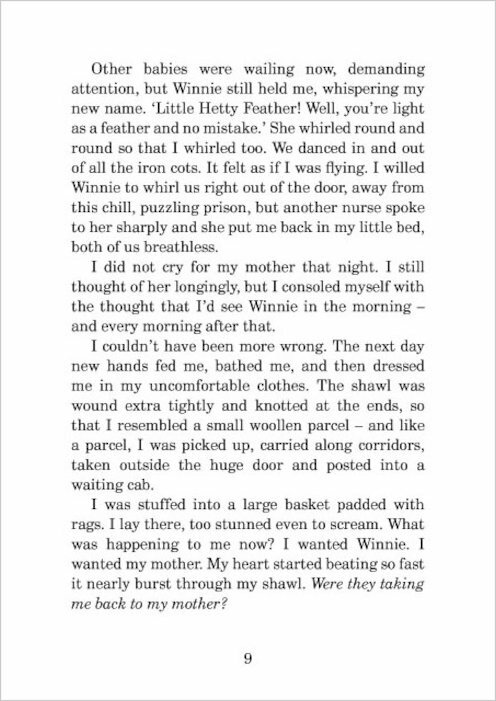 I Think Hetty Feather by Jaqueline Wilson is a great book. 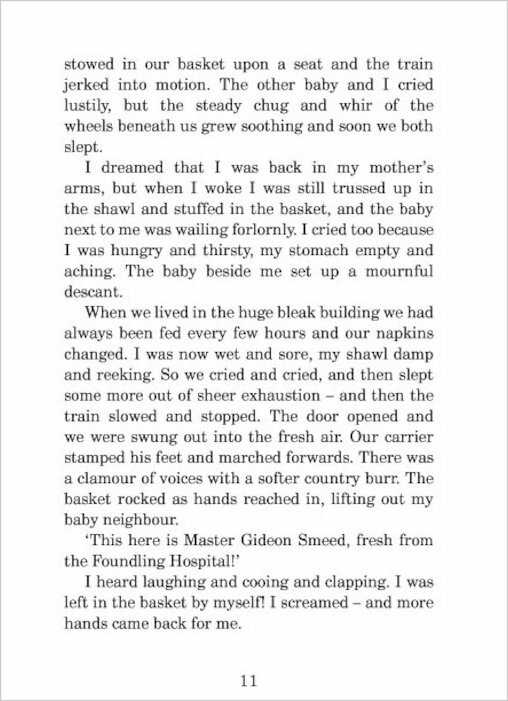 I love it when her and her friend Polly in the foundling hospital picture things at their Playtime. Jem is really kind to Hetty and sneaks her into the curcis. Gideon and Hetty make a right pair.!! This is a great book I thing everyone should read it. The first book in the Hetty Feather series. I love this book so much – I’ve probably read it at least 10 times. I give this book 5/5 because not only does it have a fantastic plot, but it also gives us an insight into the 1876 era. It’s interesting and exciting at the same time! Great, great, great book!! !I love all four although I think this one was the Best!!! The first of a great series! This is an absolute must-read! Moving, emotional and amazing. Hetty Feather is one of the most amazing books I have read in my life! 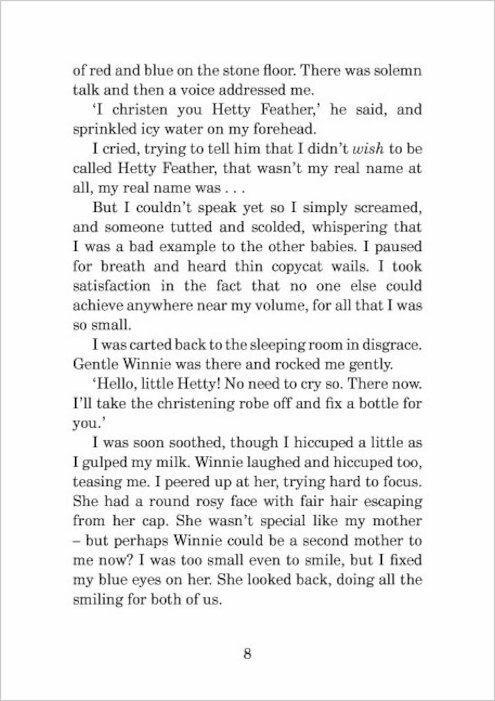 Hetty Feather is a gorl who was brought up in a found;ing hospital and she is in search for her mum and there is this woman helping her but what she doesnot know is that the person who is helping her is her rea mum! Thanks for pointing out the quiz error Princess Luvlie – all sorted now! Jacqueline Wilson strikes once again in this appealing and exciting story set in the 1800s. About an abandoned orphan girl with a temper as fiery as her red hair, Hetty Feather learns a great many lessons in her adventure towards growing up. A thrilling read! Amazing my favourite book, a must read! I think this book it amazing, all those people who say it’s boring at the start are wrong because this is a really good book from start to end love it !!! It was so borring at first but after a few pages it OMG! Thrilling, exciting, sad and touching what could be better!!! I hope there is a sequel!!! 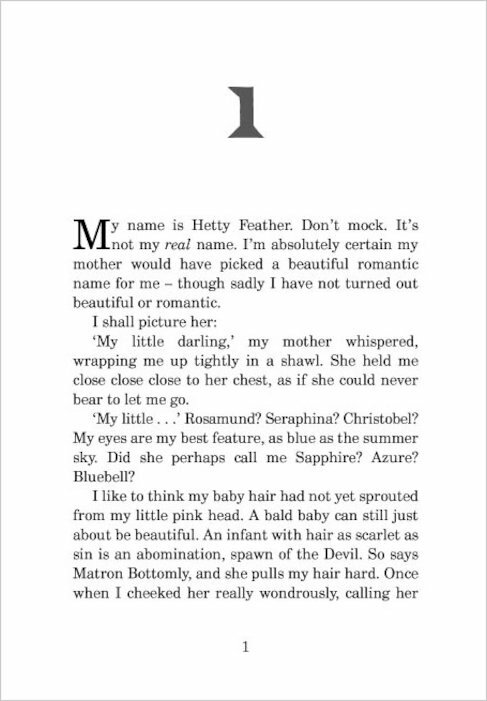 Hetty Feather aka Sapphire Battersea this is part1 it’s soo … GOOD i hope she marries Gideon is Sapphire Battersea. This was a great book!-A must read ! i love this book, though in a dramatic way. very very very very good and interesting i can’t wait for the second one Sapphire Battersea ! This is a historical moving book. JW lovers,will have this book as one of their favs. So will any other girl. i loved it! im glad that hetty finds her true mother! i have read the whole book and i think i want to red it all way through again! i have 2 get into it but it is good so far!!! After I read half of the book I was completly hooked. It was amazing I even read it twice great story and wonderfull detail! Well done Jacqueline Wilson. This book is the longest book I have ever read but as I love reading I wanted to read a thick book and it took ages!!! But it was really good!! I feel so sorry Hetty. I hate the matron! Hetty feather is a very good book about a girl called Hetty feather. it is set in the Victorian times. Hetty feather was put into care her unknown mother. But no one know’s who it is. 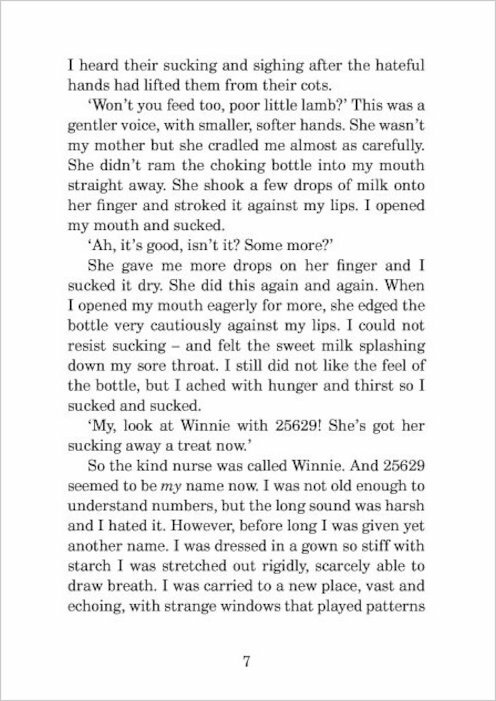 Hetty escapes from her foster parents to a circus and meets a wondrous woman called madame adeline. Hetty thinks this is her mother but soon finds out that she is not. do you think Hetty will find her real mother in the end? This book was really fantastic! I really enjoyed reading it! I definitely rate this as a top read, loved it, 5 stars!! I haven’t read this book but the heading looks interesting. Hetty Feather is absoloutley amazing I could not put it down even when I did I started reading it again. It alows you to see what it would have been like for children then. Fantastic!!!!!!!!!!!!!!!!!!!!!!!!!!!!!!! This is such a page turner. I enjoyed finding out about the foundling hospital in victorian times. This it a realy good book. It shows what life could have beenlike in victorian times. 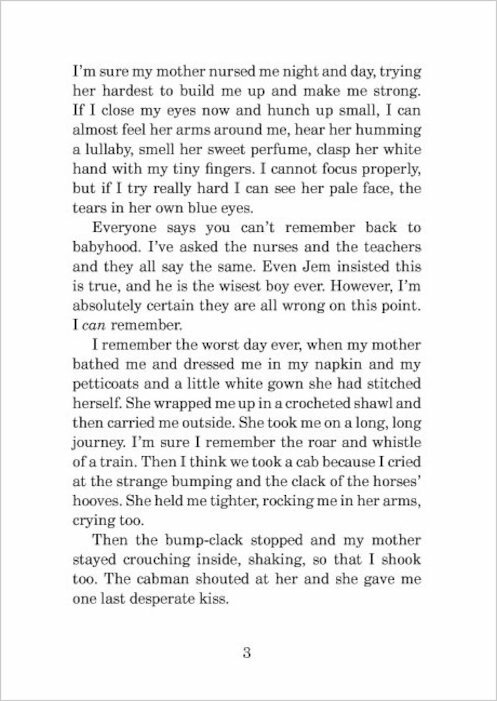 Jacquline Wilson is a expirienced writer! This book is….......... aswome i love it.My fave character was Jem.He was so nice and patinte with Hetty.Actuly I take that back he beytrayed hetty so my fave character is….....Ida or Hetty. 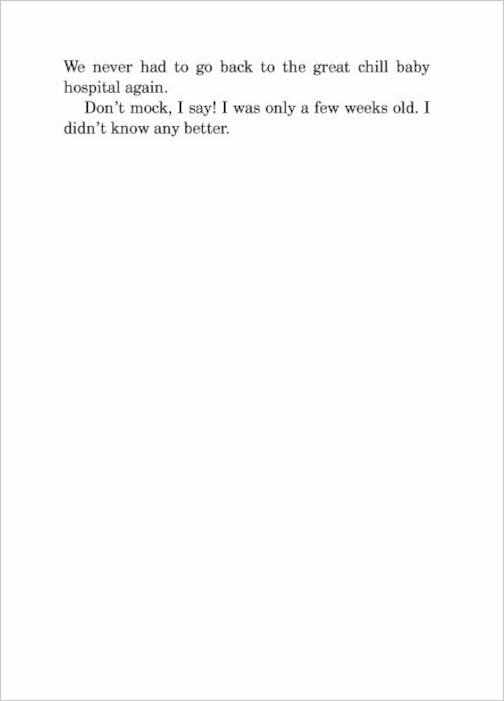 i think that this book is one of the most emtional and comedy packed book there is. i love the character of hetty how she ends up in trouble and how it feel to be stuck somewhere you dont have your friends parents or brothers and sisters. i feel sorry for hetty because her brothers dont speak to her her sister forgets her she has her own friends. this book is 1 of the best books i have every read. I loved this book!!! It was sad and moving, Jaqueline Wilson is one of the best Authors EVER! My nan bought me this book for Christmas and I finished it in two days! I thought it was a brilliant book when I was on holiday I couldn’t put it down it was really sad I could have cried it was that sad.